I first noticed the name change on Instagram, when I saw a photo from what I thought was a rogue user named Byrdie. Upon further examination I learned that WhoWhatWear Beauty, which launched almost two years ago, was rebranding as a standalone site named Byrdie Beauty. Byrdie went live yesterday and it is gorgeous! Byrdie joins Who What Wear, a celeb focused fashion website which launched in 2006, and the shelter site Domaine, on Clique Media’s roster. 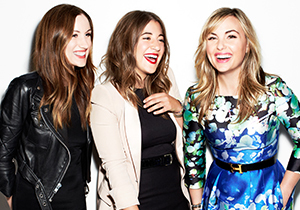 WWD reports that WhoWhatWear and Domaine see a combined 23 million page views per month. So relaunching their beauty vertical as a standalone property seems like a viable strategy. My only hope is that they include a little diversity in their beauty coverage because right now their content is looking pretttttty vanilla.